Aarhus University - Bioscience (AU-Bios), Denmark, has the main responsibility to guide the Ministry of Environment in Denmark and has as such being responsible for the nitrogen monitoring in surface waters and agricultural catchments for more than 25 years. Have several Danish and International projects that include Nitrogen assessments and modelling that can support the INMS project including our nearly 30 years of N data collected that are stored in databases. Aarhus University - Agro (AU-Agro), Denmark, has for many years been conducting research and providing policy support on nitrogen flows in agricultural systems. This work has included the development and use of methods to quantify nitrogen flows at field, farm and regional scales. Furthermore, we have conducted extensive experimentation at the level of the animal, manure management system and field to identify practical measures that can be taken to reduce losses of nitrogen to the environment. Recently, sustainable intensification of cropping systems to support green biorefinery and protein production has been developed. Provides policy support to the Ministry for Food, Agriculture and Fisheries for Denmark. As such, AU-Agro is familiar with dealing with the technical, regulatory and economic aspects of nitrogen management policy. Aarhus University - Department of Environmental Science (AU-Envs), Denmark, operates the Danish air quality monitoring program, and in relation to this work Danish nitrogen budgets are established each year by comparing Danish emissions to nitrogen deposition to Danish marine and terrestrial ecosystems. 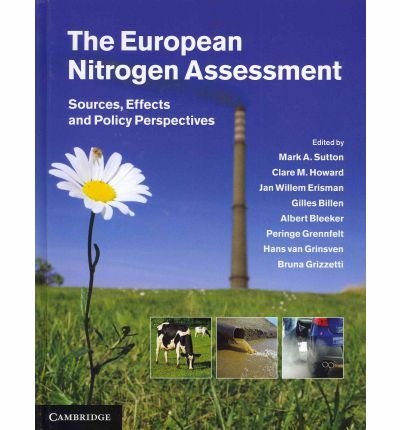 Includes scenario studies of the contribution from Danish and foreign sources as well as projections on future development in nitrogen depositions. ENVS AU produce the Danish national emission inventories incl. those for atmospheric releases of nitrogen, with experience of high temporal and spatial resolution emission inventories. Experience and economic valuation of the environmental pressures from various sectors. AgResearch Ltd (AgResearch), is New Zealand's leading pastoral agriculture research and development organization. Better managing nitrogen to meet production and environmental goals is a high priority for AgResearch. AgResearch highly values international collaboration and recognizes the benefits of international harmonization of methods, practices and tools targeting N use efficiency. AgResarch will contribute to the development of on-farm and catchment indicators and methods to quantify N utilization, identify sources of N losses, quantify losses and develop strategies to minimize the resulting environmental impacts. The Agence de l'Environnement et de la Maîtrise de l'Energie (ADEME) provides expertise and advisory services to businesses, local authorities and communities, government bodies and the public at large, to enable them to establish and consolidate their environmental action. As part of this work, the agency finances projects, from research to implementation, in its areas of action. ADEME is then greatly interested in the development of a science-policy support process, to enable the more effective management of nitrogen whilst minimizing the environmental impact. The Agrophysical Research Insitute (ARI), Russia, Has an extensive experience in research cooperation in the subject of nitrous oxide emission from arable soils. We have partners inside the country who we are prepared to work together with in the ‘Towards INMS’ project. Together we will also apply for grants inside Russia to support our activities in the ‘Towards INMS’ project. Federal State Budget Scientific Institution “All-Russian Scientific Research Institute for Organic Fertilizers and Peat” (VNIIOU), Russia, Research and Development with estimation of N balance and cycle for different organic and mineral fertilization schemes in long-term field experiments (LTE) and development of measures which decrease atmospheric loss and leaching in groundwater of mineral N applied with organic fertilizers and prevent losses under storage of organic fertilizers. R&D to construct the model of N dynamics in conventional, organic and intensive farming. Estimation of N balance in Russian agriculture (Co-chair of the EPN-EECCCA). Highly relevant is the ongoing joint project with IEEP and UBA-Germany ‘EECCA BAT IRPP’ on Best Available Techniques for intensive rearing of pig, poultry and cattle in EECCA countries. The Alterra Wageningen University and Research Centre (ALTERRA) will engage with 'Towards INMS' under the Components 1 and 2, especially in relation to: development of regional biogeochemical models in agriculture and natural systems, on the refinement of indicators and on the benchmarking of indicators in agriculture (efficiencies and surpluses). Examination of best management practices and the social and economic factors that determine success. The Wageningen University and Research Centre, Livestock Research (WUB-LR) are involved in research in reducing NH3 and other N-compounds from livestock husbandry, with focus on technical mitigation methods and management tools and optimization of nutrient management. 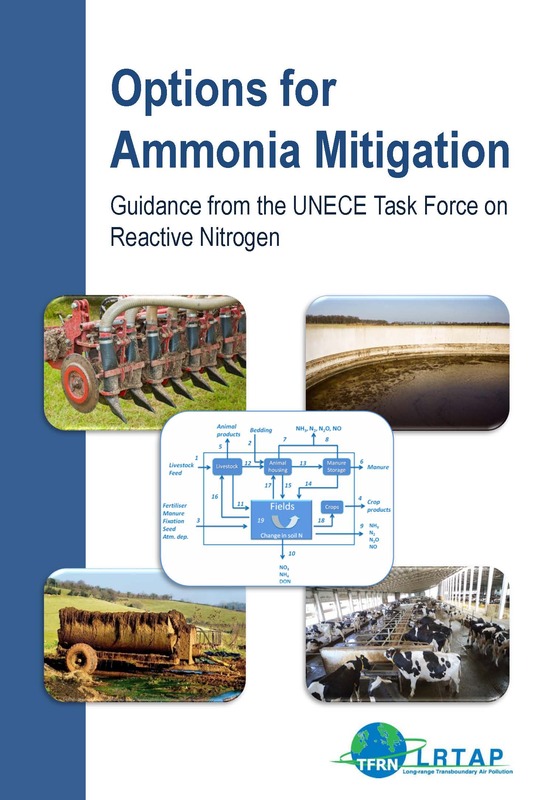 WUR were involved in writing the UNECE Guidance document on mitigating ammonia, the UNECE Framework Code for good agricultural practices, the Agricultural Annex of the Guidance document on National Nitrogen Budgets and in the review of the BAT Reference document for intensive pig and poultry. WUR developed Feed Print, which calculates the carbon footprint of feed ingredients. We have mapped manure management over the world to understand how different regions handle manure, to be able to provide the best tool at the right place to mitigate environmental impact. We are involved in projects to enhance knowledge hubs on manure management and resource use efficiency. The Ataturk Horticultural Central Research Institute (ABKAE), Turkey, is a public research institute working under the Ministry of Food, Agriculture and Livestock. ABKAE took part as a "Central Research Organization" in the priorities, policies, program and budget within the framework of research activities in the country on the basis of horticulture. Projects prepared under the nation-wide programs are carried out by individual scientists or teams from ABKAE or collaboration with other institutes and/or related faculties of the Universities. Within the framework of its duties, ABKAE prepares and joins research projects on evaluation-selection and breeding of high yielding, well adapted, disease resistant horticultural cultivars; agrotechnology (fertilization, irrigation, protection, physiology etc. ), storage, processing and marketing. ABKAE organizes courses, seminars, conferences, training programs and workshops regularly for farmers, agricultural engineers, agricultural technicians, economists and home growers. 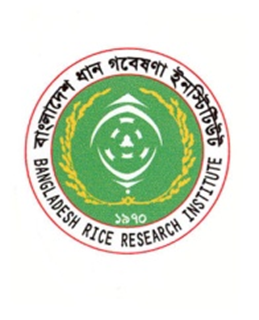 Bangladesh Rice Research Institute (BRRI), Bangladesh, Rice is the main food in Bangladesh and Bangladesh Rice Research Institute is the mandatory organization to do research on every aspect of rice for production of more rice in Bangladesh and to feed the nation. This institute is equipped with highly trained manpower and lab facilities. BRRI will contribute Towards INMS for efficient N management in rice and to reduce its abuse. At present BRRI is also working with IFDC on NOx emission from rice field and on its mitigation. BASF SE, Division of Plant Protection, Germany, are developing novel solutions to reduce reactive nitrogen losses (mainly ammonia, nitrous oxide and nitrate) and working on establishing optimal conditions to get the best efficiency out of the N fertilizer applied to the field in agricultural systems. BASF runs global field trials on all five continents of which it can provide results and data. In addition BASF is willing to share compounds for testing in other locations (subject to local restrictions). Particular interest in developing novel nitrogen enzyme inhibitors to improve nitrogen use efficiency and decreases overall losses from reactive nitrogen pools. Beijing Forestry University (BFU), China, focus on natural ecosystem (forests and wetlands) protection and management in China. 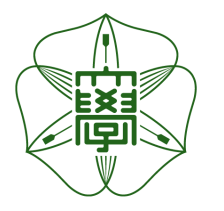 It was firstly founded by both Ministry of Education and Bureau of Forestry of the national government. The group is addressing in developing nutrient measurements and models for watershed/ catchment level managements, which are not only referred to the nutrient enriched agricultural systems, but also natural ecosystems as nutrient sinks. Proposes to contribute to INMS Activities 1.1 and 2.1 and share results from its ongoing programme of work. The Center for Agricultural Resources Research, Institute of Genetic and Developmental Biology, Chinese Academy of Science (CARR), China, The Chinese Academy of Sciences, Centre for Agricultural Resources Research (CARR), Institute of Genetic and Developmental Biology will provide underpinning support for the science of Towards INMS to maximize the benefit of nitrogen for agriculture while minimizing the environmental threats. Specifically, CARR will contribute to Components 1 and 2 in developing nitrogen system indicators (Activity 1.1) and in the development of future nitrogen storylines and scenarios (Activity 2.4). Centro de Investigaciones Energéticas Medioambientales y Tecnológicas (CIEMAT), Spain, The is focused on quantifying the interactive effects of ozone and nitrogenous compounds on Mediterranean vegetation and defining air pollutant threshold values (critical loads and levels) for the protection of ecosystems. Our group has experience on atmospheric nitrogen deposition, particularly dry deposition. We are investigating the interactive effects of ozone and nitrogen enrichment on yield and quality of crops. We are interested in the influence of climate change and air pollution on carbon and nitrogen cycles and soil-plant-atmosphere interactions in Mediterranean forests ecosystems and crops. This group has hold different agreements since 2001 with the Spanish Ministry of Environment with the objective to apply and adapt the methodologies developed under the LRTAP Convention. China Agricultural University, Beijing - Crop and Environment (CAU - Crop), is involved in systematic research work on nutrient cycling and nutrient resource management in major Chinese intensively managed cropping systems. Meanwhile, CAU has also done much work on how to transfer nutrient management techniques to local farmers in order to improve their crop production and nutrient use efficiency while decreasing its nutrient losses to the environment. As a partner to INMS, CAU – Crop & Environment will provide experiences in producing more grain with moderate nutrient input and lower environmental costs. China Agricultural University, Beijing - Soil Science (CAU - Soil), China, has a strong background working on N cycling and environmental impacts, which also covered by several ongoing projects. CAU-Soil is greatly interested in the development of the ‘Towards INMS’ partnership, and will contribute to several activities in components of quantification of N flows ,threats & benefits, and regional demonstration of the full N approach etc, to enable the more effective management of N whilst minimizing the environmental impact. The Consiglio Nazionale delle Ricerche - Istituto per la Protezione Sostenibile delle Piante (CNR-IPSP) will contibute their experience in plant responses to abiotic stress factors, with an aim of translating response mechanisms and adaptation processes into risk assessment and protection methodologies. 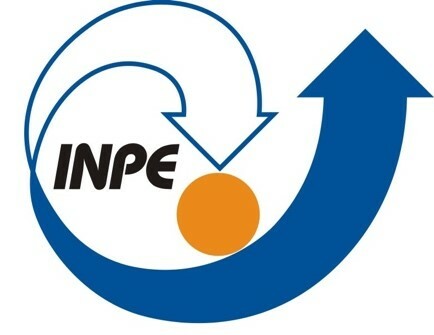 CNR-IPSP have coordinated and participated in many international projects (including ECLAIRE), and is expereienced in communication and contacts with stakeholders. Contribution to INMS includes provision of data for (i) the parameterisation of plant responses to nitrogen depsostion, water stress and ozone exposure, for plant species that respresent the major plant fucntional types in under-investigated areas of the globe (South America and Asia); and (ii) nitrogen-ozone-VOC interactions in a demonstration forest area in Mediterranean climate. Earth System Science Centre/National Institute for Space Research (CCST-IPNE), Brazil working in partnership with: the Brazilian Ministry of Science, Technology and Innovation (MCTI); the University of Sao Paulo; the University of Brasilia; the University of Buenos Aires; the InterAmerican Institute for Global Change Research; Centro de Solos e Recursos Ambientais - Instituto Agronômico; Agro-Pastoril Paschoal Campanelli S/A. The mission is to generate interdisciplinary knowledge for national development with equity, and to reduce environmental impacts on the Earth. Its objectives are to conduct studies to evaluate the impacts of global and regional environmental change on the socio-economic and environmental systems, especially those associated with national development and wellbeing. In Towards INMS the focus is on deepening the understanding of how anthropogenic changes in the environment alter the distribution and functionality of the life on tropical biomes, consequently changing the biogeochemical nitrogen cycle, in relation to the capability to provide environmental services. (Director INI Center for Latin America). Leading the development of the Latin American INMS Regional Demonstration. The Energy research Centre of the Netherlands (ECN), has involvement in different ongoing global activities related to the INMS objectives, as well as recent activites on a European level that directly link to the INMS activites (e.g. TFRN/EPNB, ESF-NINE/ENA). Evelopment of simpler regional indicators on nitrogen efficiency performance and comparison with more detailed approaches, extending the analysis to improve estimates of full-chain nitrogen use efficency. The EC-JRC contribute to the development of regional and global nitrogen flow modelling, including development of indicators, regional synthesis, and options including integration of technical measures and structural change. The mission of JRC is to provide EU policies with independent scientific support throughout the whole policy cycle. In particular, the Institute for Environment and Sustainability (IES) supports to EU policies for the protection of the environment, and the more efficent and sustainable management of natural resources. The Federal Environment Agency of Germany (UBA) is a policy advising institution gathering data concerning the state of the environment, investigating the relevant interrelationships, making projections and providing federal bodies such as the Ministry of the Environment with policy advice. UBA also provides the general public with information on the environment. One important field of interest is the reactive nitrogen (Nr) issue as Germany is obliged to commit to various Nr associated environmental quality standards. Several projects are set up to quantify Nr fluxes, calculate Nr budgets and balances and support the German integrated Nr policy initiative and several actions on international cooperation. Fertilizers Europe (Fertilizers Europe), Belgium, established the EU Nitrogen Expert Panel in 2014. This panel is an independent group of leading scientists, industry representatives, practitioners, and governmental policy officers (total of 15-20 persons). The general objective of the Expert Panel is to contribute to improving NUE in food systems in Europe, through (i) communicating a vision and strategies on how to improve NUE in food systems in Europe; (ii) generating new ideas, and recommending effective proposals and solutions; and by (iii) acting as referee in controversial issues, and by communicating as authority. The first mandate of the EU N Expert Panel is to prepare a well‐elaborated proposal for ‘nitrogen use efficiency’ in food systems in Europe, to be used as indicator by policy and practice. More mandates contributing to better and more sustainable use of nitrogen will be defined with time to come. The FAO (Livestock Information, Sector Analysis and Policy Branch (AGAL), Animal PRoduction and Helath Division (FAO-AGAL), will provide livestock sector analysis with a particular focus on resource use, environment and poverty reduction. It also provides policy support and guidance to countries and stakeholders in the livestock sector, and facilitates policy dialogue among stakeholders. AGAL will contribute to INMS through a) Knowledge transmission on global database on agricutlural commodities and inputs (GLEAM); b) Assessments of nitrogen use efficiency for livestock supply chains by region, commoditiy and farming systems at different scales; c) Development of mitigation strategies to reduce the environmental impact from livestock sector; d) Benchmark and monitoring of improvement options in livestock sector; e) Faciliation of policy dialogue and harmonization of metrics through international multi-stakeholders initiatives: Global Agenda for Sustainable Livestock and LIvestock Enviornmental Assessment and Performance (LEAP) Partnership. 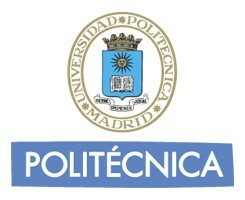 The Fundacao da Faculdade de Ciencias da Universidade de Lisboa, FP (FFCUL), Portugal, will be Contributing to INMS mainly through an international project (NitroPortugal), and will be focused on the organization of outgoing short and medium term staff exchanges and of incoming expert visits, collection of data from databases and grey literature, and on the organization of training and outreach activities. It generally aims at improving the knowledge of N-related issue on water, air and soil quality, greenhouse gas balance and impacts on ecosystem and biodiversity, to build the basis for a Portuguese Nitrogen Assessment. 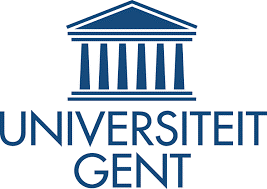 Ghent University (UGENT), Research on process understanding of N-cycle, N-excess (N-deposition, NO3 leaching, N2O emission) and fertilizer N use efficiency, with substantial international experience with use of state of the art isotope based tools. The current focus is especially towards Africa including N deposition and N process work (incl. N2O) in tropical mountain forests, nitrate source apportionment (Lake Victoria and Nyungwe forest) and biological N2 fixation for sustainable agricultural intensification for smallholder farmers. The focus of the UGENT contribution to INMS will be the use of nitrate and boron isotopes to apportion source of nitrate in Kenyan rivers draining to Lake Victoria. This would contribute to constraining the N budget of lake Victoria. UGENT has experience in the analyses of isotopes in nitrate and the use of Bayesian isotopic mixing models to quantify nitrate sources. Currently UGENT is working with on rivers in Kenya already via an IAEA funded project and training program. Field Science Center for Northern Biosphere, Hokkaido University (FSCNB-HU), Japan, Conducts comprehensive research primarily on the northern biosphere on the conservation processes and mechanisms that impact biodiversity and ecosystem processes, the sustainable use of natural resources and ecosystem, long-term monitoring of various ecosystems and environments. The research topics include ecology, biology, biogeochemistry, environmental science, agriculture, forestry, fishery and others. The ecosystem functions section covers biogeochemical studies including nitrogen which is highly relevant for the ‘Towards INMS’ project. FSCNB-HU has various international partnerships with oversea universities and research institutes for collaborative program for research and education, including leading the nitrogen action of the International Long-Term Ecosystem Research (ILTER) network. The research facility, project outcomes, database and other research resources are available for the ‘Towards INMS’ project. Research Faculty of Agriculture, Hokkaido University (Ag-HU), Japan, Conducts research primarily on the northern biosphere on the sustainable use of natural resources and ecosystem, long-term monitoring of various ecosystems and environments, in relation to agricultural activity. The research topics include agricultural science, ecology, biology, biogeochemistry, environmental science, forestry, fishery and others. One of the research laboratories, the environmental biogeochemistry lab covers agricultural studies including nitrogen which is highly relevant for the INMS project. Ag-HU has various international partnerships with oversea universities and research institutes for collaborative program for research and education. The research facility, project outcomes, database and other research resources are available for the INMS project. Fe deral State Budget Scientific Institution “Institute for Engineering and Environmental Problems in Agricultural Production” (IEEP), Russia, Focus on nitrogen flux control as a part of environmental management on a farm level, including methods of environmental assessment of agricultural enterprises based on NUE (nitrogen budgets) and the guidelines for improved manure management on large-scale livestock farms in compliance with relevant national and international legislation, with the outputs being tested on several pilot farms. (Co-chair of the UNECE Expert Panel on Nitrogen in EECCA countries, EPN-EECCA). Institute of agroecology and environmental management of National Academy of Agrarian Sciences (IAEM), Ukraine, Research at IAEM is aimed to increase the role of the environmental component of agriculture in Ukraine. As a result of the use of mineral nitrogen fertilizers, industry production and the number of farm animals, the problem of eutrophication of water sources is particularly acute. This indicates the loss of nitrogen throughout the all nitrogen cycle. The contribution focuses on the East Europe regional demonstration (Dniester, Prut and Lower Danube). The activity aims to demonstrate how a cross cutting approach that joins up different parts of the nitrogen cycle, including the benefits and threats, can deliver a stronger gravity for better management of these issues. Approaches for evaluating of nitrogen flows will be developed at the level of regional demonstration. The Institute of Physiochemical and Biological Problems in Soil Science (IPBPSS), Russia, researches of nitrogen biogeochemical cycle in natural and semi-natural ecosystems in Russia. Recent and current activities and projects of IPBPSS are relevant for INMS. Skills in modelling nitrogen cycle dynamics and assessment of N fluxes in forested lands. System of models EFIMOD, which were created in IPBPSS, has been used in many regional researches on modeling the impacts of N deposition and climate change on forest dynamics and biodiversity. IPBPSS was a partner in the ECLAIRE project participating in the work on developing dynamic soil vegetation models. Also involved in the activities of the LRTAP Convention and responsible for calculating and mapping critical loads of N for the European Russia area. 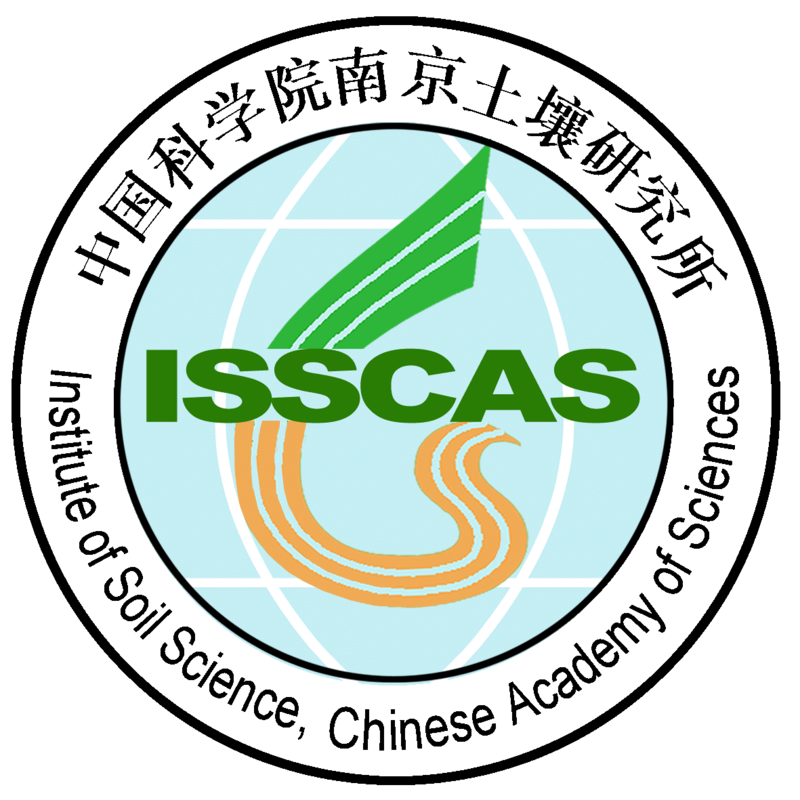 Institute of Soil Science, Chinese Academy of Sciences, Nanjing, China (ISSCAS), China, Pioneer in agricultural nitrogen research in China, focusing on the agronomic effect and environmental impact of nitrogen fertilizer. Has a number of researchers involved in nitrogen research, ranging from field study to regional evaluation. ISSCAS has led several national wide nitrogen related projects, and has hosted the 3rd International Nitrogen Conference. It is now leading a Nitrogen Working Group under China Soil Science Society. The group is made up of experts of different science background, inducing soils soil science, atmospheric science, aquatic science, etc. The Institute of Water Resources Engineering (ASU), Lithuania, has many years of experience in conducting research on nitrogen losses from agricultural areas to surface waters at different spatial scales (field and catchment). Long-term nitrogen budget calculations and the effect of various land management practices have been investigated. The offered contribution to ‘Towards INMS’ is skills, experiences and review. Recent research suggests that a limited response of freshwater eutrophication to decline in agriculture is related to land management practices as well as to significant inertia of the terrestrial ecosystems that control the loss of N from land to rivers. The research emphasis is therefore on improving understanding of the N cycle to reduce the negative impacts through improved N management practices and policies. The Institut Nationale Recherche Agromique (INRA) is the biggest insitute for agronomic research in Europe. Reactive nitrogen is an issue which is mostly related to agricultural by the way of crop fertiisation and livestock farming (especially manure management(. INRO could provide INMS with (i) databases on nitrogen use, nitrogen, carbon and water fluxes; (ii) crop models including carbon and nitrogen cycling, economic models, actor models; (iii) decision support tools for nitrogen ferilisation and estimating nitrogen losses; and (iv) long term observation sites. INRA has strong partnerships with many agricultural stakeholders and French decision makers. The invovlement will see to distill and sythesise key experiences from French agricultural allowing technology sharing with regional studies and analysis of barriers to change. The Instituto Superior de Agronomia (School of Agronomy) of the University of Lisbon (ISA), Portugal, has Interest in improving agronomic practices that reduce nitrogen losses to water and air and in the synthesis and translation of evidence to support practice improvement and the policy development. Will contribute to the development of optimized approaches for N management (Activity 2.3) and support the European regional demonstrations. Co-chair of the UNECE Task Force on Reactive Nitrogen. International Fertilizer Manufacturers Association (IFA), France, is the only association representing the global fertilizer industry. IFA has the best available global database on N fertilizer capacity, production, trade and consumption for the main fertilizer products and raw materials. IFA encourages adoption of best available technologies in fertilizer production in order to improve energy use efficiency and reduce GHG emissions. It also supports development and adoption of fertilizer best management practices in order to enhance the use efficiency and effectiveness of fertilizers, and promotes smallholders' access to fertilizers in Africa and other areas with underuse. IFA has more than 500 members throughout the world. As such it can help reaching out to the global fertilizer industry to stimulate their engagement in INMS activities where needed (e.g. in regional demonstrations), and to disseminate the main outcomes of INMS. The IIASA provide research contribution in the development of nitrogen integrated assessment modelling linking air pollution, human health, ecosystems, grennhouse gases and water pollution, building on IIASA's GAINS model, which elucidates important aspects of the nitrogen cycle in to with mitigation and mitigation costs. Development of regional nitrogen budget approaches and efficiency indicators. Contribution to European scale coordination (Director INI European Centre) and Chair of TFRN Expert Panel on Nitrogen Budgets (EPNB). International Institute for Tropical Agriculture (IITA) (part of CGIAR), Kenya, IITA has several ongoing activities in the Lake Victoria catchment that fit in the context of Towards INMS. In addition, one of the IITA scientists is coordinating the activities of the Africa Regional Centre of the International Nitrogen Initiative; his work also fits well into Towards INMS. IITA has also established a strong partnership with many development partners interest in N management for improve food and energy production without pollution. The contribution of IITA will mainly focus on scaling up technologies intended to improve N agronomic efficiency in the context of too little N to minimize land degradation and environmental pollution. 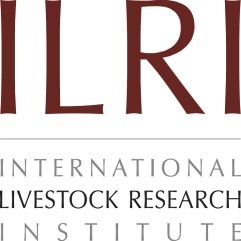 International Livestock Research Institute (ILRI) (part of CGIAR), Kenya. In cooperation with the Institute of Meteorology and Climate Research (IMK-IFU), Karlsruhe Institute of Technology. ILRI works since decades on livestock production systems in Africa, with a particular focus on East Africa, including the Lake Victoria region. 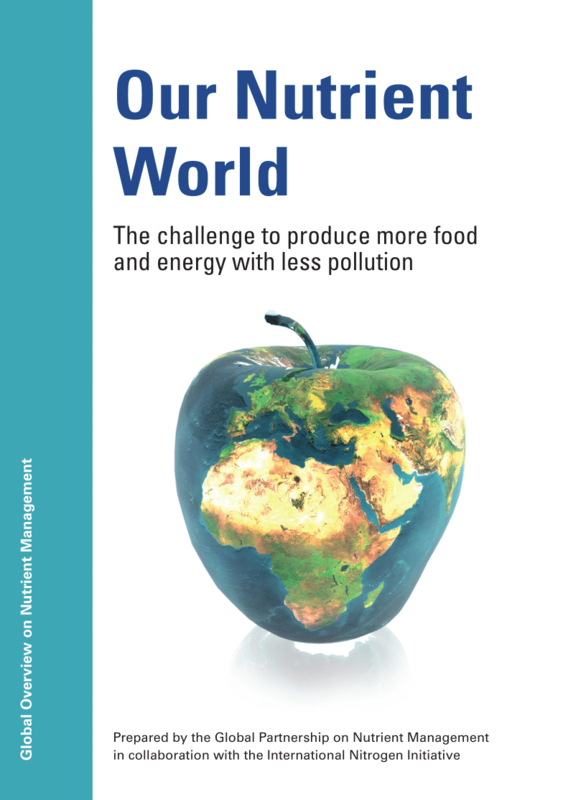 In the last years ILRI established a new research direction focusing on nutrient balances, use of manure for feed food production, and quantifying environmental footprints of livestock production systems including effects of land use change. In this context ILRI also worked on nitrogen balances for the Lake Victoria watershed and entire Africa. In close cooperation with the Institute of Meteorology and Climate Research (IMK-IFU), ILRI has the capacity to run biogeochemical models at regional scale for quantifying and assessing N flows. The CIMMYT, part of CGIAR, leads research on ssutainble intensification in wheat and maize-based systems in South Asia, Sub-Saharan Africa and LAtin America and has considereable expertise in Nitrogen Mangement. Access to Facilities to measure ntirogen balance in crops and provide field facilities for demonstaration, as well as evaluation of managment practices on nitrogen use efficiencies of crops. Through work on climate smart villages, CIMMYT is evaluating a range of technologies and practice protfolios, with strong community-led involvement, local organisations and stronge public sector buy in. The CIMMYT impact pathway is to generate evidence on the costs and benefits of emerging practicies and tehcnologies in terms of productivity and climate adaptation and mitigation. Outputs from 'Towards INMS' could be scaled up through CSV models in South Asia and through CIMMYT innovation hubs of MasAgro Take it to the Farmer (TTF) project in Mexico and the Cereal Systems initiateive for South Asia (CSISA). The Italian National Agency for New Technologies, Energy and Sustainable Economic Development (ENEA) conduct research and innovation activities, particularly into energy efficiency and renewable energy sources, technological innovation, agro-food, helath and the environment. Examination of regional nitrogen flows in relation to societal choice options with specific attention to regional food access and food choice options, building on the work of the Expert Panel on Nitrogen and Food (EPNF). 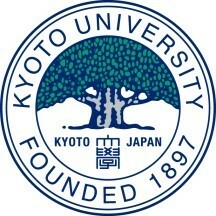 Kyoto University (KU), Japan, Interested in the effective utilization of an indicator, Total Material Requirement, TMR. The TMR provides a measure of the physical inputs in mass required to produce a material from a given resource using a given process, including upstream inputs, in terms of primary materials including so-called hidden flow such as tailings, gangue, and waste rock, etc. Recently KU redefined two types of TMR. The first type is the TMR to obtain a material from a natural ore (natural ore TMR; NO-TMR), which is in keeping with the original definition of TMR. The other type is the TMR to recycle the material from an urban ore defined as end-of-life products or waste (urban ore TMR; UO-TMR). Recently KU has estimated TMRs for more than 400 products like not only metallic materials but also non-metals, acid/base, other chemical compounds, fertilizer, and foods etc. N-based materials and products such as fertilizer, nitric acid and ammonia are included. KU consider that further estimation and analysis must contribute to the problem solving for N-related issues. Laboratoire d'Aérologie Observatoire Midi-Pyrénées (LA UMR), Contribution to case studies for developed countries with insufficient Nr: West and Central Africa and Lake Victoria (LV) case studies. 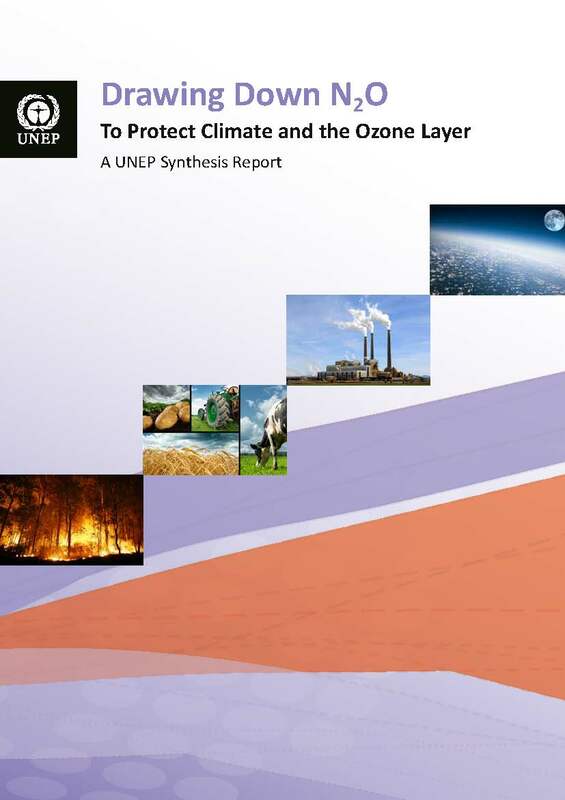 Key issues: air quality, greenhouse gas balance, atmospheric emission and deposition of Nr. Experience and partnership: coordination of the long term monitoring deposition network IDAF (IGAC-DEBITS-Africa), label WMO, partner of EADN (Equatorial Atmospheric Deposition Network), GEF UNEP Project. A French national proposal has been submitted for a pilot study in the LV catchment (partners: ILRI, University of Nairobi). Scientific objectives: Nr emission, wet and dry deposition measurements above soil and water, Atmospheric Nr budget and GES balance. Lake Victoria Basin Commission (LVBC), Kenya, The institution of East African Community mandated to coordinate different actors for sustainable development of people and resources within Lake Victoria Basin. Some of the Mandates are on water resources, environment and Natural resources. LVBC has acquired experiences on Nitrogen deposition through different projects implemented under LVBC coordination. These projects include LVEMP I and LVEMP II world Bank funded projects; USAID funded projects and National initiatives. Through these projects LVBC has data and other information related to nitrogen management in the Lake Victoria that can be shared. LVBC has experts that can be used to collect data, analyze and provide information. Ongoing LVBC projects will build synergy to the ‘Towards INMS’ project; and therefore provide more information on atmospheric deposition in the Lake Victoria which is thought to contribute 80% of the total N in Lake Victoria. Leibniz Institute for Agricultural Engineering (ATB), Potsdam-Bornim, Germany, is a European center of agricultural engineering research at the nexus between biological and technical systems. Research targets a knowledge-based bioeconomy. ATB is developing highly innovative and efficient technologies for the use of natural resources in agricultural production systems - from basic research to application. ATB thus contributes to the nutrition of humans and animals, to a sustainable use of biomass, and to protecting of climate and environment. Co-chair of the UNECE-TFRN Expert Panel on Mitigation of Agriculural Nitgrogen (EPMAN) and UNECE Task Force on Emissions Inventories (TFEIP) Agriculture and Nature Panel. CSIR-National Environmental Engineering Research Institute (CSIR-NEERI), India, CSIR-NEERI has extensive experience in executing mega projects in solid waste management, analysis, land-fill engineering and emission inventory. CSIR-NEERI is the apex Government organization in India on environmental matters. The principal investigator contributing to Towards INMS is a leading expert on waste management and its interactions with the nitrogen cycle. 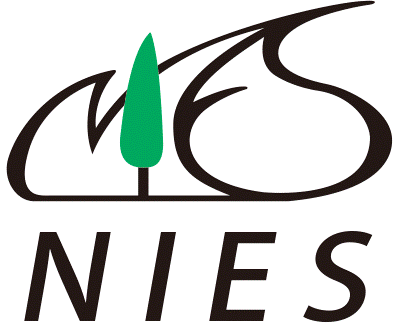 National Institute for Agro-Environmental Sciences (NIAES), Japan, NIAES is a research institute focusing on environmental issues related to agriculture including nitrogen challenges such as cropland emissions of nitrous oxide, nitrate leaching to groundwater, and local-to-regional evaluations of nitrogen cycle. NIAES will thereby facilitate the involvement of Japanese scientists into the East Asian Regional Demonstration in close collaboration with the International Nitrogen Initiative–East Asia. Furthermore, NIAES is pursuing the Monsoon Asia Agro-Environmental Research Consortium (MARCO), which aims to provide international symposia and help to train the people who will carry on activities under the consortium. It is expected that MARCO also contributes to the case study. National Institute for Environmental Studies (NIES), Japan, NIES is funded by the Ministry of Environment, Japan, covering a wide range of environmental researches such as climate change, pollution, biodiversity, material cycling, human health, and sustainability. It comprises eight research centers and one regional branch, some of which are working on regional and global nitrogen issues. The Center for Global Environmental Research is measuring atmospheric composition including several nitrogenous gases and developing a global biogeochemical cycling model. The Center for Regional Environmental Research is observing watershed-scale nitrogen cycling from atmospheric deposition to underground leaching. NIES has internal activities for these center's missions and several funded projects for integrated assessment on climatic change. The RIVM in The Netherlands, with contibute by monitoring and modelling nitrogen flows in the environment. Recently, the policy program Integrated Approach to Nitrogen in which all nitrogen sources to air are considered has been adopted and RIVM is in the lead to monitor this program for the NEtherlands. RIVM is extending the scope of its work to other nitrogen flows and other environmental and public health impacts. RIVM will contibute to INMS with experience in measuring and modelling nitrogen flows and by making these flows quantitative and manaageable for use in policy support. The PBL Netherlands Environmental Assessment Agency will contibute their experience in global and regional assessments and scenario studies of production of consumptino of energy and food on environmental emissions to air and water quality, the GHG balance and biodiversity. Assessments and scenario studies include aspects of governance and consumer choice. For this purpose PBL has developed the IMAGE and GLOBIO models and cooperated with various research groups around the global international IPCC, OECD and UNEP environmental assesments. They will provide analysis of nitrogen management options in relation to food choice and tehcnical measures coupling water, air, climate, biodiversity issues in relation to quantitative assessment and building of green economy links. Non-Governmental Organisation ‘New Energy’ (New Energy), Ukraine, during the last two years has implemented the following projects: Social communication - new opportunities for active youth (2014 - funded by the German Foundation Nadegda); Elaboration and dissemination of recommendations on basin management of surface water resources used for drinking water supply in Kharkiv Oblast (2015 - under the Program "Ukrainian Unconventional Gas Institute" and administrated by the British Council in Ukraine). New Energy is currently engaged with the following projects: Integrated Hotspots Management and Saving the Living Black Sea Ecosystem (Black Sea Crossborder Cooperation programme); Stormwater quality: Implications for reduced impact on receiving waters and climate change adaptation. They recently contributed to Network for Environmental Assessment and Remediation in Aquatic Systems. Wastes and Wastewaters (2010-2012 – SCOPES programme) and EnviroGRIDS Project “Building Capacity for a Black Sea Catchment Observation and Assessment System supporting Sustainable Development” (EU programme). New York University (NYU), USA, houses The Department of Environmental Studies and the Guarini Center for Energy, Environmental and Land Use Law, which addresses interdisciplinary and policy-relevant environmental research. The Guarini Center has developed a ‘building blocks’ approach to global climate governance – using smaller, more decentralized forms of cooperation for climate protection – which is a valuable framework for investigating the various legal pathways available to manage global N pollution. The array of environmental and health impacts that can be traced back to N pollution creates several opportunities for generating climate co-benefits by engaging organizations with non-climate missions such as global health and agricultural development. NYU will play an active role in INMS Activities 4.3-4.4, particularly Task 4.4.2 (policy homes and financing models). The interdisciplinary array of faculty members doing environmental research – from lawyers and economists, to biologists and anthropologists – as well as its location in the heart of New York City make it a perfect base for exploring the global governance challenges related to N pollution. The North American Nitrogen Centre of INI (Including: US Environmental Protection Agency, US Department of Agriculture, US Geological Survey, Agriculture and Agri-Food Canada, University of Virginia,) (NANC) fosters collaboration of governmental and non-governmental organizations, universities and private individuals who are collectively trying to develop successful voluntary or regulatory ways of reducing Nr losses from agriculture and the built environment. Environmental endpoints, or critical loads, for terrestrial and aquatic ecosystems are actively researched. Workshops and synthesis activities drawing together continental-wide evaluations of both the state of knowledge and the socio-economic impediments to increasing crop NUE are supported and results are presented to stakeholders and peers at professional society venues. The Norwegian Meteorological Institute (MET Norway) hosts the western air pollution modelling centre of the European Monitoring and Evaluation Programme (EMEP MSC-W). 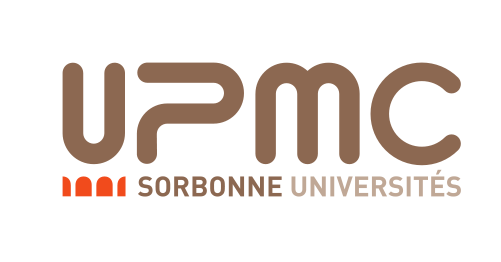 The EMEP MSC-W model has been developed over more than 30 years for the calculation of sulphur and nitrogen deposition, as well as for tropospheric ozone and particulate matter (PM). Although traditionally used at the European scale with resolutions of ca. 50km, the current model has been applied both globally (0.5 degrees resolution) and for near-urban scale (1-2 km) within the EMEP4UK project. MET Norway has a long history in authoritative modelling of the long-range transport of pollution, especially for the UNECE LRTAP Convention. MET Norway will engage to develop N-modelling capabilities, including atmosphere-biosphere simulations of future N-scenarios in different economic and climate change scenarios. Odessa National I. I. Mechnikov University (ONU), Ukraine, ONU has large experience the Eastern Europe regional demonstration: 1) the Low Dniester basin (INTAS Project “Development of New Methods to Process Information about the Quality of Water in River Basins”; EU-TACIS Project «Technical Assistance for the Lower Dniester Basin Management Planning»; EU-FP6 NitroEurope, EU-FP7 ECLAIRE and 2) the Low Danube basin (EU-TACIS Project «Lower Danube Lakes: Sustainable Restoration and Protection of Habitats and Ecosystems»). Responsible for integrated monitoring in North-Western part of the Black Sea basin, most recently the FP7 PERSEUS Project “Policy-oriented marine Environmental Research for the Southern European Seas” and UNDP-EU EMBLAS Project «Improving Environmental Monitoring in the Black Sea” and UNDP-EU EMBLAS-II Project «Improving Environmental Monitoring in the Black Sea» (2014-present). Activities include a permanent state-of-the-art research station "Petrodolinskoe" and three sites for atmospheric deposition collection and river water sampling in the Low Dniester basin, as well as the integrated monitoring station "Zmiinyi Island" located in the North-Western part of the Black Sea. OECD will be contributing policy analysis on the nitrogen cycle in relation to country programmes and national case studies. Development of environmental indicators and investigation of nitrogen indicator as broad measure of environmental performance (linking air, land, water, climate, biodiversity etc). Integration of existing agricultural nitrogen balances indicator into full regional nitrogen budgeting approaches. The platforms provided by the Environmental Policy Committee (EPOC) and the Working Party on Water Biodiversity and Ecosystems (WPWBE) can be used in disseminating INMS results and involving goverment officials in target countries. PigCHAMP Pro Europa (PCH), Spain, is company located in Segovia, Spain. Its activity is aimed at consulting livestock, mainly pigs. Since 2000, technical advisor of Tragsatec, the means of the Ministry of Agriculture, Livestock and Environment to implement the Industrial Emissions Directive and in the preparation of the Technical Document on Best Available Techniques. Members of the Technical Working Group of the European IPPC-Bureau for IRPP-BREF. Over 10 years in the development of trials for the evaluation of techniques and products to reduce emissions of pollutants, in farm and field. A member of TFRN and contributor to the UNECE ammonia guidance document. The Potsdam Institute for Climate Impact Research (PIK), Germany, is studying causes and effects of land-use change, including externalities such as Nr pollution. It develops and maintains two complementary global simulation models, a bio-physical dynamic global vegetation, hydrology and crop growth model LPJmL and a spatially explicit economic agricultural sector model MAgPIE. Both models can be applied jointly and separately and have a long-standing reputation in global change research. The models have been applied (MAgPIE) and are currently being further developed towards explicit treatment of N dynamics to address the full terrestrial N cycle in natural and managed ecosystems as well as the economic assessment of environmental regulation and market mechanisms. The group is involved in model intercomparison studies (AgMIP, ISI-MIP) and can connect N-specific research questions of INMS with these activities. High spatial detail in simulations and analyses allows for connecting regional studies and mechanisms with global-scale responses in a consistent analysis. Rothamsted Research, UK (RRES), Rothamsted Research has a long history of leading research concerning N cycling in agricultural systems, with an emphasis on grassland-based ruminant systems at the North Wyke site. There is considerable expertise regarding ammonia, nitrous oxide and nitrate leaching emissions to the environment, farm-scale modelling and development and compilation of national scale atmospheric emission inventories. RRes has been an active participant in TFRN and EPMAN activities, particularly regarding mitigation practices over the past decade. RRes has a history of close engagement with China regarding excessive N use in Chinese agriculture, continuing now in the UK-China Newton Fund ‘CINAG’ project. Scientific Research Institute for Atmospheric Air Protection (SRI), Russia, Interest in developing an understanding of the processes of the global nitrogen cycle. Main activities: Accounting of national emissions; Modelling of air pollutant transport and deposition using EMEP model and CMAQ, meteorological models MM5 and WRF. Recent projects include: Russian-Swedish project “Development of the Co-operation within the Convention on Long Range Transboundary Air Pollution” implementation of the GAINS model in the Russian Federation; EECCA project "Facilitating the implementation and ratification of the protocols of the Convention on Long-Range Transboundary Air Pollution in Eastern Europe, Caucasus and Central Asia”; “Support in creating national emission inventory system needed for joining CLRTAP protocols and meeting corresponding reporting commitments”; “Review of existing and required capacities for addressing adverse environmental impact of transboundary air pollution in North-East Asia” under the UNESCAP North-East Asian Sub-regional Programme for Environ. Cooperation. SKW Stickstoffwerke Piesteritz GmbH (SKWP), Germany, are a producer breaking new grounds of N fertiliser use by developing new innovative products including recommendations on best usage and practices with an emphasis on improving N use efficiency. We have an own research department with scientists in the area of chemistry, analytics and agriculture as well as an agricultural experimental station. During the last years we have generated fundamental results concerning NH3 and N2O emissions after application of N fertilisers under practical related conditions in typical German agricultural areas. We are the sole institution holding NH3 emission results over a three year typical crop rotation in Germany. In this study we identified and quantified options to reduce gaseous N losses significantly. In addition, we have experiences in efficient and loss reduced use of organic fertilisers like slurry or biogas digestate. We are open to integrate concertedly developed methods and measure in our existing research program and demonstrate best available practice in N fertiliser use. Society of Nature Conservation of India (SCON) incorporating Indian Nitrogen Group working in partnership with: IPU University, New Delhi; Chilika Development Authority and School of Biotechnology, KIIT Univ; Indian Agricultural Research Institute, New Delhi, India; Center for Sustainable Technologies, Indian Institute of Science, Bangalore; Punjab Agricultural University/Indian Nitrogen Group; South Asian Co-operative Environment Program (SACEP). The South Asian Demonstration led by N. Raghuram and YP Abrol from the Society for Conservation of Nature (SCON), a registered NGO competent to receive grants and submit accounts, and the umbrella organization that runs the Indian Nitrogen Group and the South Asian N Centre. SCON has earlier received grants from UNEP for South Asian N workshop and N2010. The contribution will a) coordinate the South Asian Case study (INI Centre Director), comparing the challenges for nitrogen management faced by adjacent states, b) develop a N-FOOTPRINT tool for India so as to create awareness in the public, researchers and policymakers to improve NUE, food chain efficiency and consider changes in diet patterns. The Stockholm Environment Institute at York / University of York (SEI/UoY), UK (link partner to the Climate and Clean Air Coalition, CCAC), are working on The ‘Nitrogen Cascade’ that links closely with SEI’s interest in air pollution and climate change and the water-land-energy nexus and developing integrated approaches examining trade-offs and synergies to inform decision making. Expertise relevant to INMS covers: coordinating and participating in regional and global integrated assessments for UNEP on Short-Lived Climate Pollutants (SLCPs); the Global Atmospheric Pollution Forum (GAP Forum) platform for global co-operation on air pollution issues; capacity building projects with the Climate and Clean Air Coalition (CCAC), the Consultative Group for International Agricultural Research (CGIAR) and World Bank assessing air quality, water and fertilizer issues in local/national agriculture; development of global trade and supply chain methodologies assessing links between consumption of commodities and impacts due to low NUE; impact assessment and modelling of how pollutants and other stresses combine. Technical University of Madrid / Universidad Politécnica de Madrid (UPM), Spain, UPM has developed different research programs related to the development of sustainable management practices for agriculture. Primary areas of experience include carbon and nitrogen dynamics in agroecosystems, nitrogen loss in the form of NO3- leaching and emissions of N2O, NOx and NH3, greenhouse gas exchanges (CO2, CH4 and N2O) and carbon sequestration in agroecosystems, soil resource sustainability as influenced by land management (e.g. conservation agriculture practices). UPM research will bring to ‘Towards INMS’ valuable technical experience base on its expertise areas and results from ongoing field experiments. The Nederlandse organisatie voor Toegepast-Natuurwetenschappelijk Onderzoek (TNO) is currently estimating the predicting NH3 concentrations and reactive nitrogen is severly hampered by a lack of good emission timing in the chemistry-transport models (CTMs). The emission of NH3 varies locally and inter-annually as a result of local climate (temperature) and local agricultural management. Our research in the coming years will include deriving and testing parameterization of ammonia emissions for use in our chemistry-transport model LOTO-EUROS. A more realistic representation of the emissions will change the deposition patterns and hence may influence the most effective policies to protect nature reserves and reduce emissions. As part of thid development TNO will also focus on further increasing the spatial resolution of its model to more accurately represent local emissions and local depostions that can be of direct benefit to Component 1 of the 'Towards INMS' project. The UNECE, will contirbute to Towards INMS through ongoing and guture activities on transboundary water cooperation in Eastern Europe (including Dniester river basic) under the Water Convention and through the Task Force on Reactive Nitrogen under the Air Convention. The platform of the Work Group on Strategies and Review under the Air Convention can be used in disseminating the results of Towards INMS and involving govermental officials in target countries. The US Environmental Protection Agency (US EPA), is the national agency responsible for many of the regulatory management of air and water quality, and in turn the nitrogen cycle in the UK. EPA has a program office side, whose staff are responsible for policy decisions and implementation and have played key roles in the development of global environmental policies and funding mechanisms such as the GEF. EPA also has a research side that informs policies and policy-makers. Many EPA researchers measure and model the amount of nitrogen moving through air, land and water. EPA researchers also study the impacts of excess nitrogen on the human health, the environment and the economy. Much of EPA's nitrogen research is US in scope even though EPA is on the Governing Committee of various intergovernmental programs, including UNEP and the OECD programs on nutrient pollution. In making progress towards sustainable decisions, it would be best for EPA and the INMS partners to learn from the exchange research and inform policy-makers toward global sustainability. The University of Bonn (UBO) is working in plant/atmosphere exchange, identifying and investigating fundamentals of aerosol impacts on plants. Our activities, e.g. within the ECLAIRE project, have taken this forward to a point where we could show that aerosols formed from NH3 can reduce the drought tolerance of plants, indicating a so far unknown, serious threat of NH3 to ecosystems. Our present funding largely comes from fundamentally oriented organizations (DFG), and we are interested to make the results suitable and useful in the interdisciplinary INMS environment, e.g. for the implementation in dynamic global models. The University of East Anglia (UEA), UK (link partner to the IOC UNESCO GESAMP Working Group 38), has been studying the impact of air-sea exchange for many years and has recently focused particularly on the impact of atmospheric nitrogen deposition. The University of Edinburgh, with support to the INI secretariat, are contibuting to Towards INMS through studying many experimental and theoretical aspects of land-surface processess related to N cycling and management. They are involved in numerous national and international nitrogen research collaborations including GANE, NitroEurope, ECLAIRE, GREENHOUSE, TFRN and most recently the INMS pump-priming project. The lean contirubting scietisst directs Edinburgh's GLobal Environment & Society Academy, tasking with developing interdisciplinary solutions to the global challenges of food,water, energy and climate secuirty, with projects concerning the interactions of nitrogen with greenhouse gas fluxes and nitrogen pollution swapping. Contributied to the European Nitrogen Assessment, the IPCC's Firth Assessment Report (WFI). Science advice on nitrogen provided to Westminster and Holyrood Parliaments and public engagement. The University of Missouri (MU), USA, considers managing nitrogen to meet production and environmental goals as a high priority. The University of Missouri highly values international collaboration and recognizes the benefits of international harmonization of methods, practices and tools targeting N use efficiency. The contribution will focus on the development of on-farm and catchment indicators and methods to quantify nitrogen utilization, identify sources of nitrogen losses, quantify various pathway losses and develop strategies to minimize associated environmental impacts. University Pierre and Marie Curie (UPMC), France, The METIS lab, in association with the Center of National Research (CNRS), is focusing its activity on hydrogeophysical and biogeochemical modelling including ecological modelling experimentally-based approach (Riverstrahler), taking explicitly the processes of microorganisms involved in the C, N, P, Si and oxygen cycles. The model links the water quality of river continuums from land-to-sea with human activities in the basin (water pollution by domestic effluents, agriculture contaminations). The nitrogen cascade and the nitrogen cycle in the water-agri-food have received major attention in the last 5 years, from local to global scales. The interest of the group includes analysis of the performance of organic agriculture in terms of N losses in the environment. Leads the West Europe regional demonstration activity. The Victorian Department of Economic Development, Jobs, Transport and Resources (DEDJTR), is Australia's leading agriculture research and development organization. Better managing N to meet production and environmental goals is a high priority. DEDJTR highly values international collaboration and recognizes the benefits of international harmonization of methods, practices and tools targeting N use efficiency. To that end, DEDJTR is proposing to work in close collaboration with a number of international research groups from New Zealand, USA and Europe on improvement of farm scale management of the nitrogen cycle,, with an emphasis on using an farm level N budgeting approaches. This will support the development of on-farm and catchment indicators and methods to quantify nitrogen utilization, identify sources of nitrogen losses, quantify various pathway losses and develop strategies to minimize environmental impacts. The Vrije University and Louis Bolk Institute (VU), the Netherlands, focus on Integrated Nitrogen Studies in the world, which is in the heart of the INMS proposal . THE VU has a range of experience in coordinating N-related projects, courses on nutrients and biogeochemical cycles, atmosphere-biosphere research and satellite observations and validation. Furthermore, through several contributions policies and solutions for nitrogen pollution have been developed and successfully implemented. Particular interest in nitrogen food printing (N-PRINT), and environmental farming approaches. World Resources Institute, Water Quality Team (WRI), USA, has been working on eliminating eutrophication for more than a decade, including the extent of eutrophication worldwide, the drivers and sources, and policy mechanisms for addressing eutrophication. WRI has an interactive global map of over 700 eutrophic and hypoxic coastal zones. WRI is an expert on flexible, market-based solutions to cost-effectively achieve water quality goals, such as trading and targeting. Policy analysis, program evaluation, and analyses on barriers to change. Developed a global database of nutrient-reducing practices and nutrient-reducing programs and policies for the GEF GNC project. With offices in India, China, Brazil, Belgium, and Indonesia, WRI has an international presence and many local partners in developing countries. Yara International ASA, Research Centre Hanninghof (Yara), Germany, converts energy, natural minerals and nitrogen from the air into essential products for farmers and industrial customers. The main application is fertilizers, while industrial uses and environmental solutions are also important growth segments. The backbone of the company’s operations is large-scale ammonia and fertilizer production in many regions of the world. We ensure reliable supplies of mineral fertilizer and related industrial products to customers worldwide. Yara is one of the world’s largest producers of ammonia, nitrate and complex fertilizer. At its centre for plant nutrition, Yara conducts research to develop improved plant nutrition management strategies for important agricultural crops. 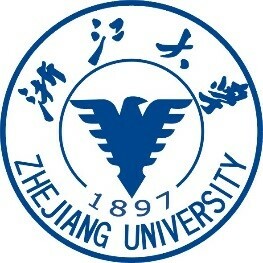 Zhejiang University (ZJU), China, Currently, research in ZJU mainly focuses on the N biogeochemical cycle in coupled human and natural systems (CHANS). We have built the nitrogen cycling model in the CHANS to include both natural and anthropogenic factors that drive the global and regional nitrogen cycles. Based on the CHANS model, we have analyzed the entire nitrogen cycling in China for 14 subsystems, and closed the N budget and their future trends in China. ZJU will contribute to INMS on the industrial N cycling on regional and global scales, source appointment of atmospheric and hydrospheric nitrogen pollutions, nitrogen footprint by CHANS mass balance approach and cost-benefit analysis.